Elaine M. Prins NOAA/NESDIS/ORA Advanced Satellite Products Team Madison, Wisconsin elaine.prins@ssec.wisc.edu Joleen M.
- Numerical techniques are used to determine instantaneous estimates of sub-pixel fire size and average temperature for the processed fire pixel category based on the Dozier technique. 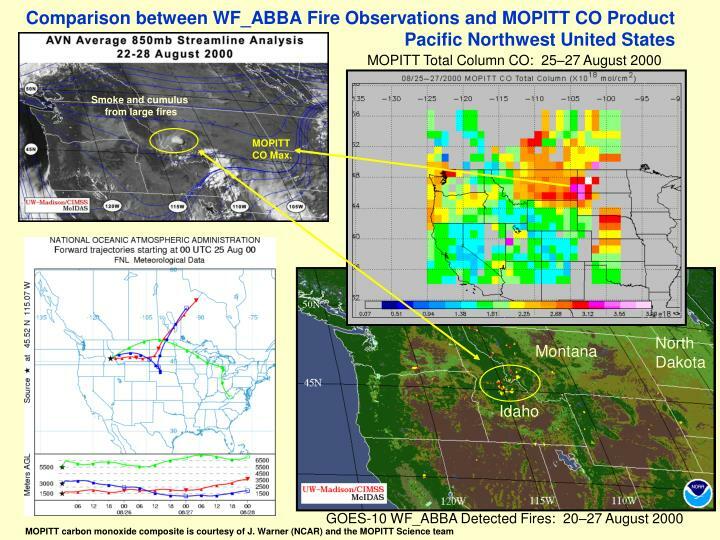 Ancillary data used to augment the GOES data in finding and characterizing fires- These data help to screen for false alarms and correct for water vapor attenuation, surface emissivity, solar reflectivity, and semi-transparent clouds. 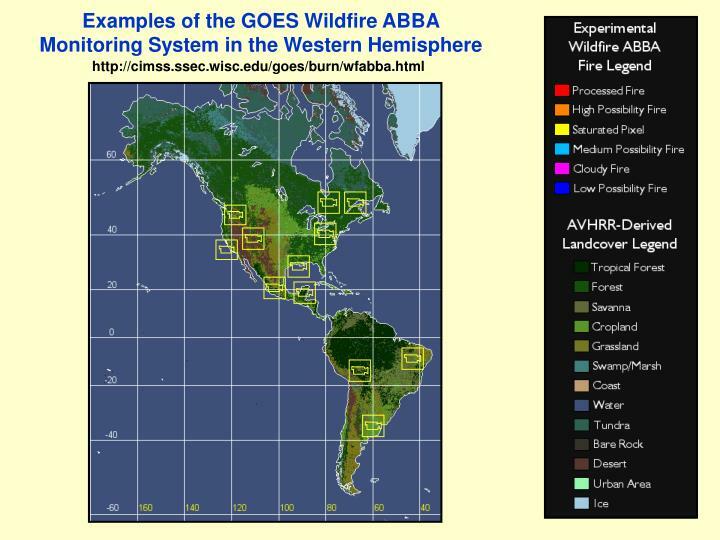 - The AVHRR-derived Global Land Cover Characteristics (GLCC) data base is used to assign surface emissivity values and helps screen for false alarms. 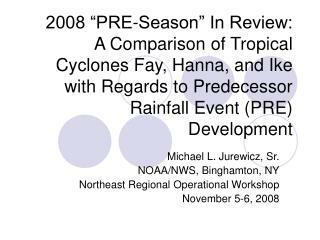 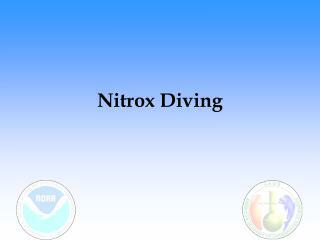 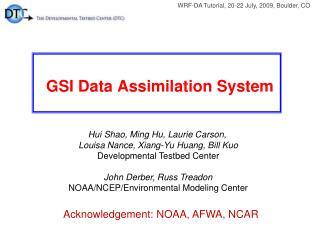 - The Aviation Model total column precipitable water is utilized to correct for water vapor attenuation. 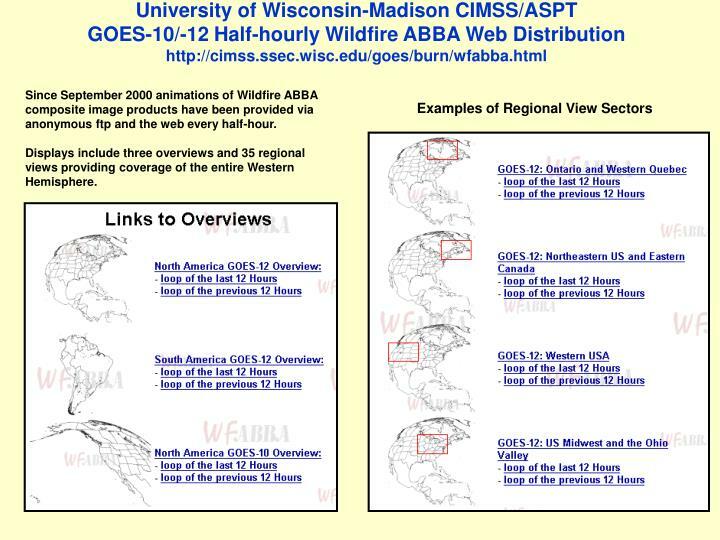 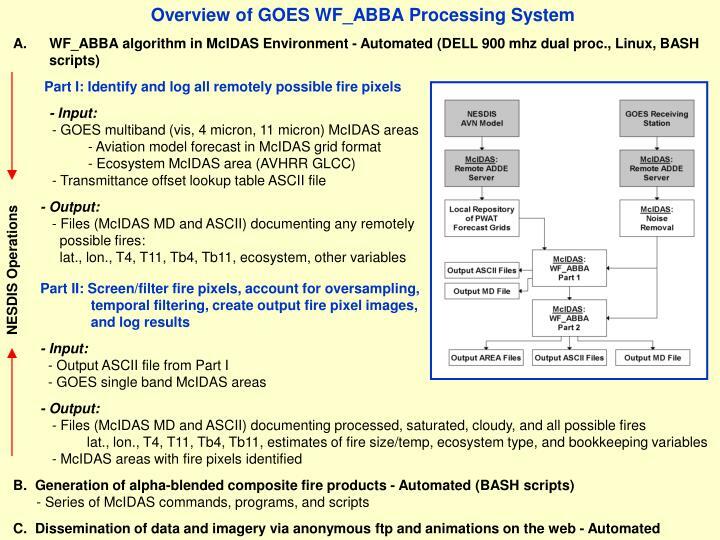 Since September 2000 animations of Wildfire ABBA composite image products have been provided via anonymous ftp and the web every half-hour. 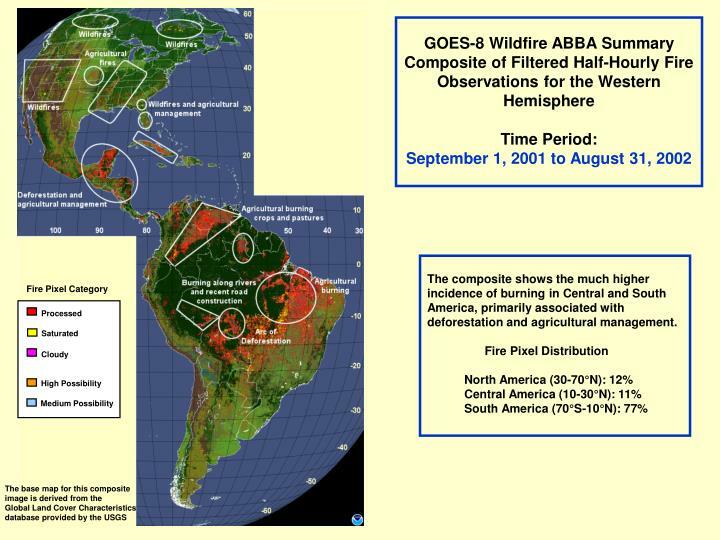 Displays include three overviews and 35 regional views providing coverage of the entire Western Hemisphere. 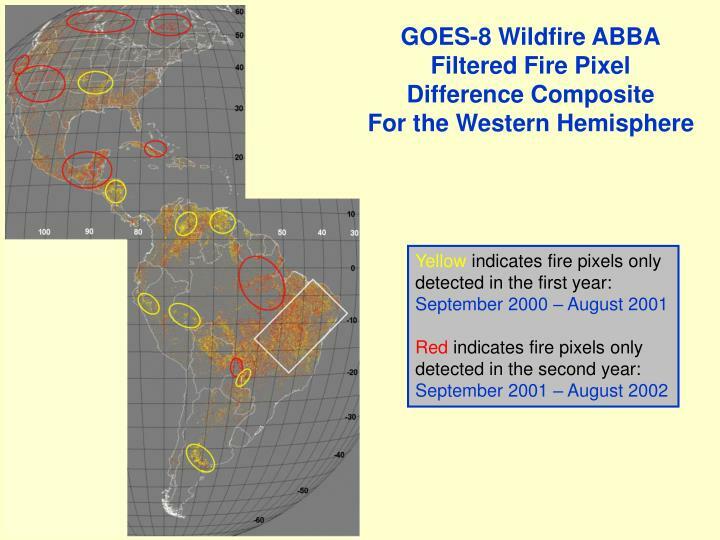 The composite shows the much higher incidence of burning in Central and South America, primarily associated with deforestation and agricultural management. 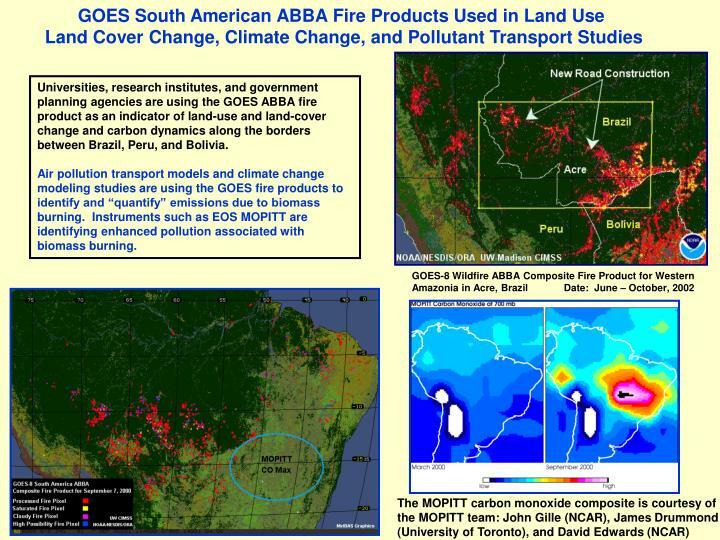 Universities, research institutes, and government planning agencies are using the GOES ABBA fire product as an indicator of land-use and land-cover change and carbon dynamics along the borders between Brazil, Peru, and Bolivia. 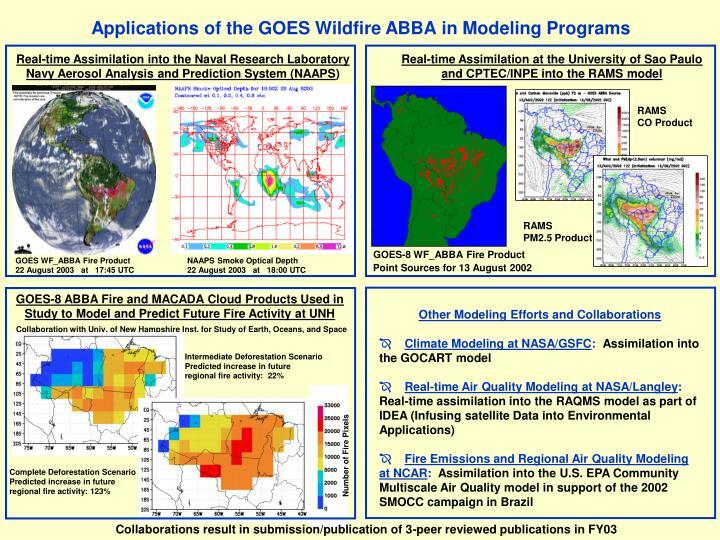 Air pollution transport models and climate change modeling studies are using the GOES fire products to identify and “quantify” emissions due to biomass burning. 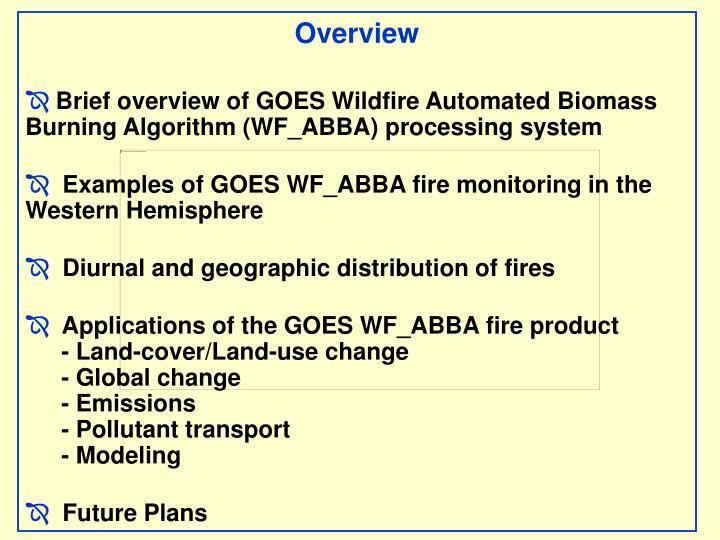 Instruments such as EOS MOPITT are identifying enhanced pollution associated with biomass burning. 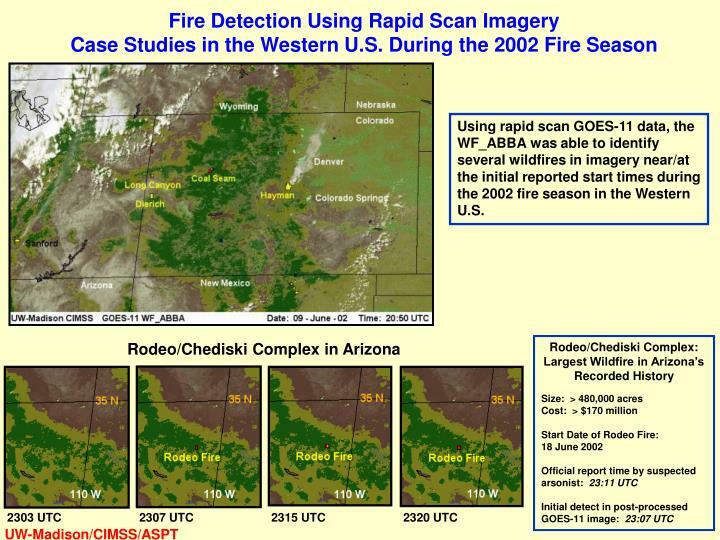 Using rapid scan GOES-11 data, the WF_ABBA was able to identify several wildfires in imagery near/at the initial reported start times during the 2002 fire season in the Western U.S. 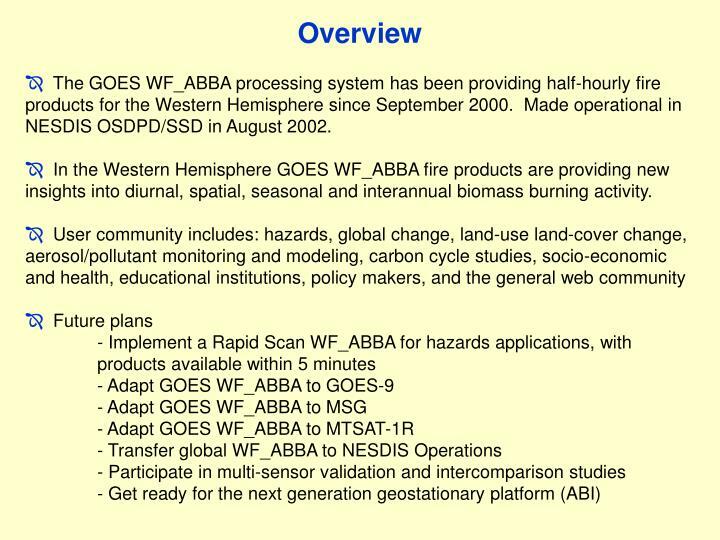 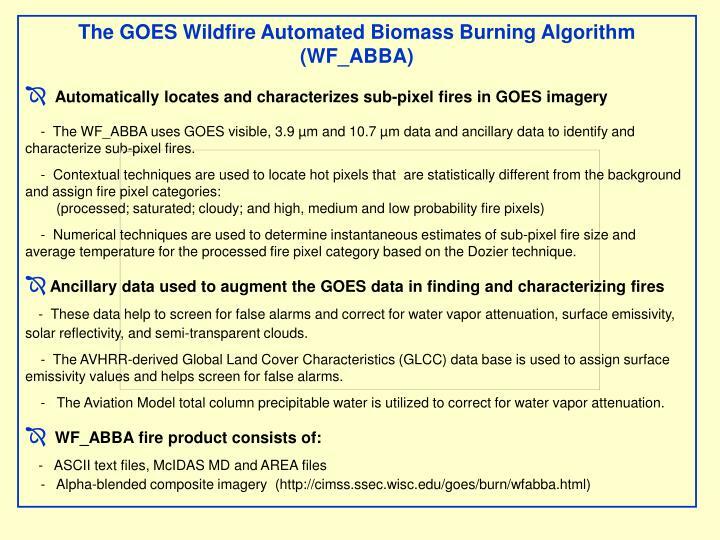 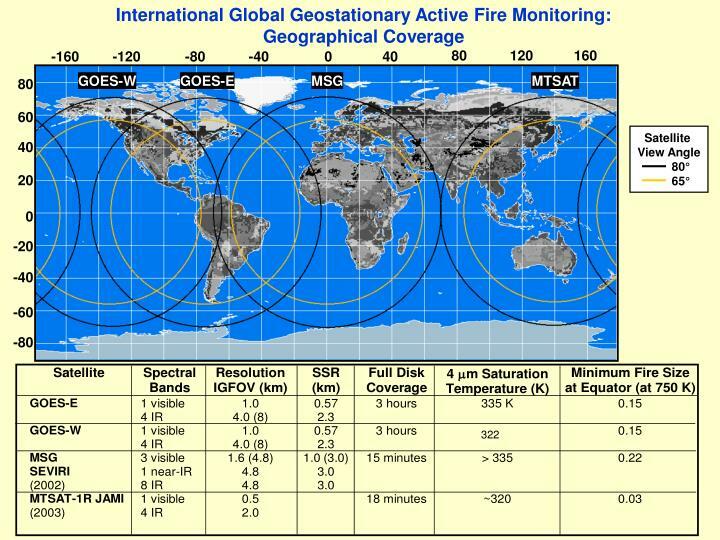 The GOES WF_ABBA processing system has been providing half-hourly fire products for the Western Hemisphere since September 2000. 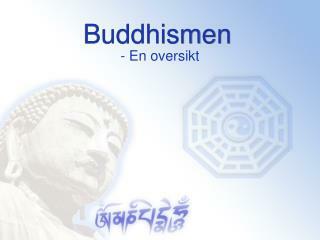 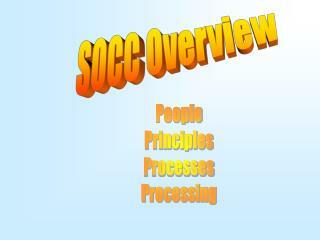 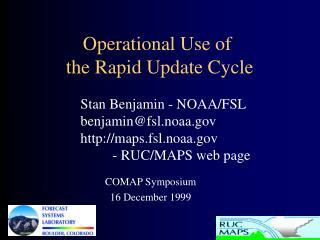 Made operational in NESDIS OSDPD/SSD in August 2002. 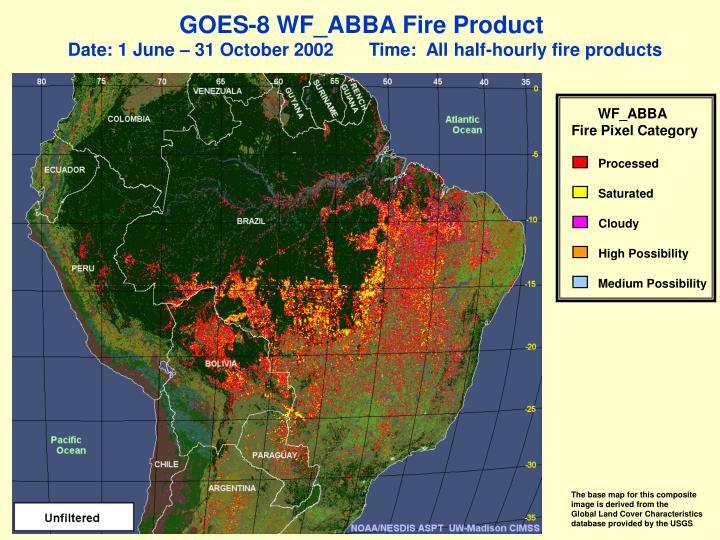 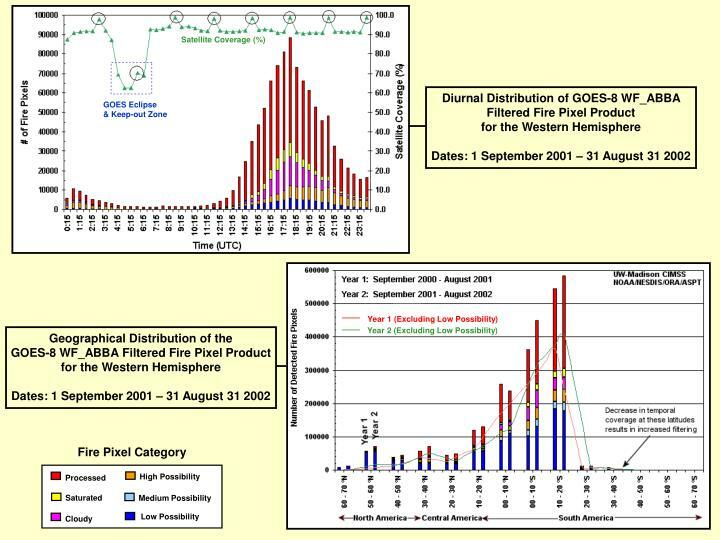 In the Western Hemisphere GOES WF_ABBA fire products are providing new insights into diurnal, spatial, seasonal and interannual biomass burning activity. 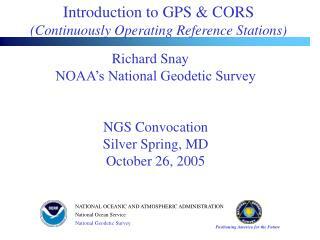 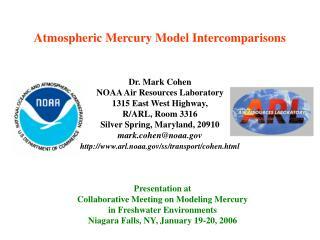 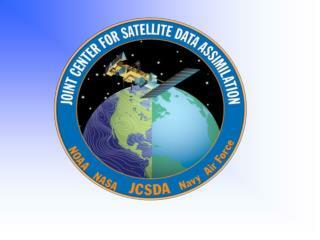 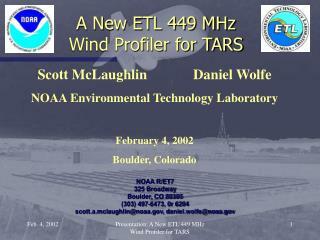 The Joint Center for Satellite Data Assimilation -. 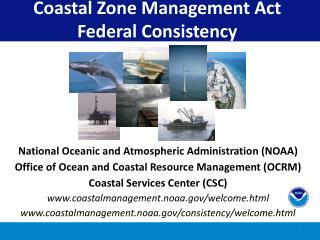 john le marshall director, jcsda. 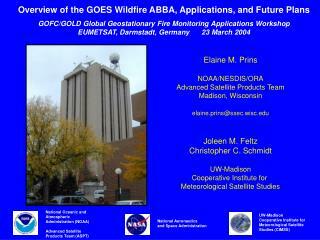 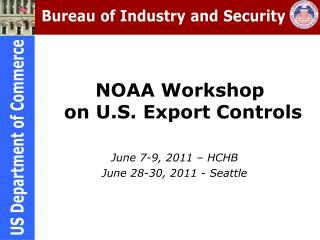 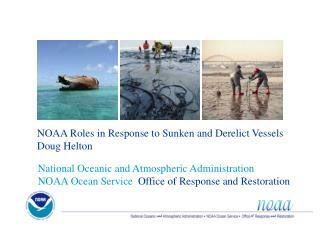 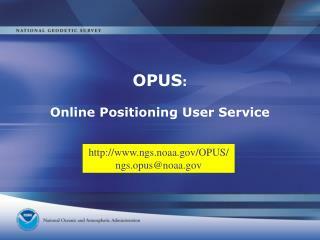 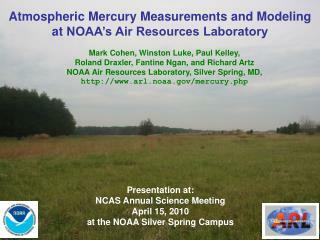 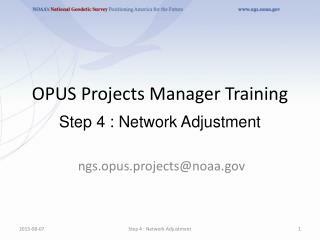 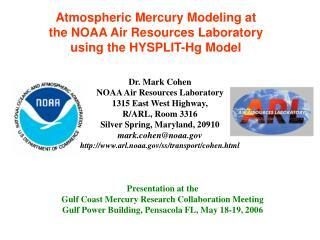 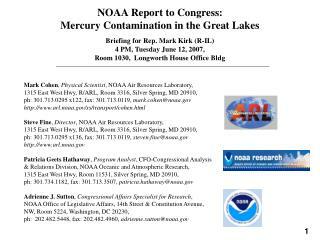 deputy directors : s tephen lord – nws /ncep james yoe - nesdis lars peter riishogjaard – gsfc, gmao pat phoebus – dod,nrl. 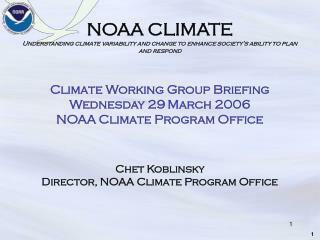 june, 2005. partners.